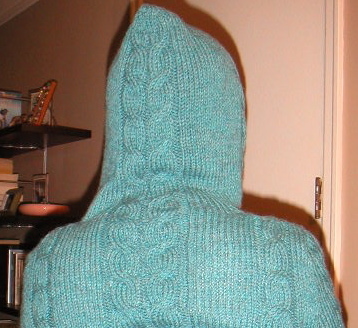 Central Park Hoodie is Done! 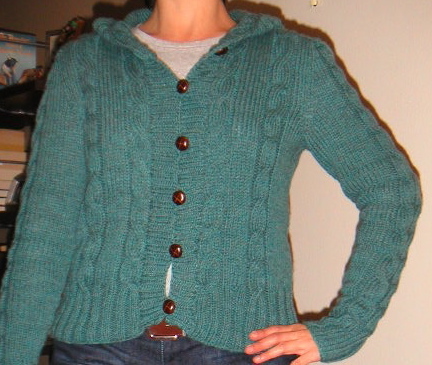 Yesterday I finished weaving in the ends on the sweater, sewing on the buttons, and crocheting the button loops. The original pattern didn't have any type of closure on the sweater, but I knew that I would want something to stay cozy and warm. I added the optional button loops and bought some of those genuine leather shank buttons. The fit turned out great and I really liked knitting this project up. It was quick and fun. I made the second to smallest size, which was a 36" bust. I did find a couple of errors in the pattern. They are below. Armholes: BO 4 (5, 6, 7, 8, 8, 8, 8) sts at beg of next 2 rows, then 2 sts at beg of foll 2 rows-66 (72, 78, 84, 90, 102, 118, 126) sts rem. Dec row (RS) K2, ssk, work in patt to last 4 sts, k2tog, k2-2 sts dec'd. Work 1 WS row. Rep last 2 rows 1 (1, 1, 1, 1, 3, 5, 7) more time(s), then work Dec row every other RS row 0 (0, 0, 0, 0, 7, 7, 7) times-62 (68, 74, 80, 86, 80, 92, 96) sts rem. Row 1 (RS) *P2, k2; rep from * to end of row. Row 2 (WS) *P2, k2, rep from * to end of row. It's gorgeous girl. Lucky lucky you! You're so talented... I'm jealous!! Oh so incredibly freaking cute! 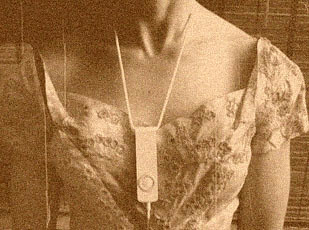 I want to me to you now.